When you've lost track of time or had a busy work week, same day delivery gifts for her and him are more than convenient, they're necessary. 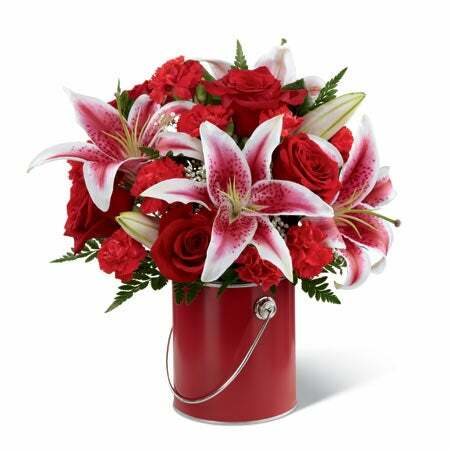 Valentine's Day gifts online delivery helps you meet those last minute special occasions and needs. 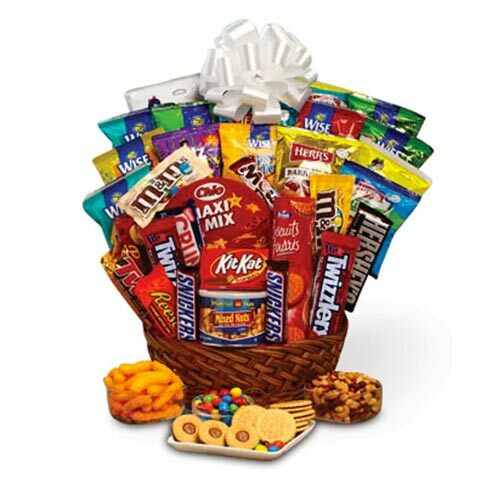 We've compiled a list below of different types of gift that we can send. We also made sure to include mostly products that are available anywhere in the USA and can be delivered same-day. This Valentine's Day February 14th, 2019 so can shop directly from this list of cute Valentine gifts at affordable prices. They can be sent to your friend, family, or loved one quickly. Realizing that every individual's price point is different, we've made sure to include inexpensive, luxury, and cheap Valentine gifts. These cute Valentines Day gifts for her and him are affordable, delivered fast, and come with a free personalized message card. Pick your favorite same-day Valentines gifts below, and these cute delivery services will take care of the rest. These affordable gifts come hand delivered straight to their door or office with a custom card. These Valentine's Day delivery services include food, candy, and floral options. 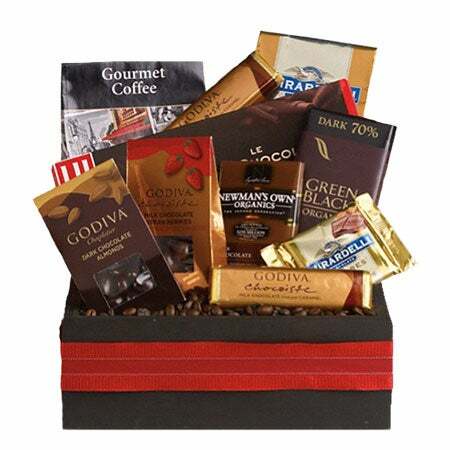 Featuring Valentines Day baskets for her and him, you can send special chocolates at discounted prices in as little as 24 hours or less. 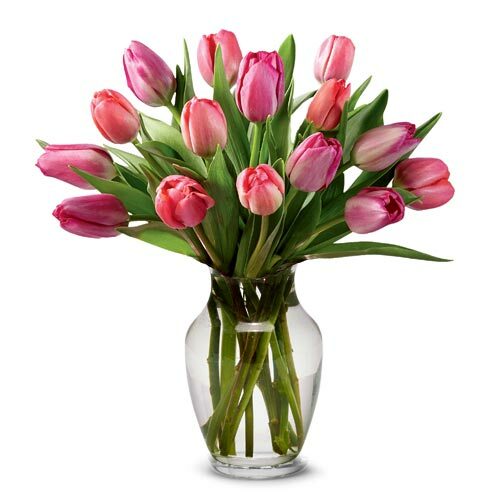 Traditional Valentine's Day flowers can be sent on their own, or paired with Valentine's Day balloon delivery. 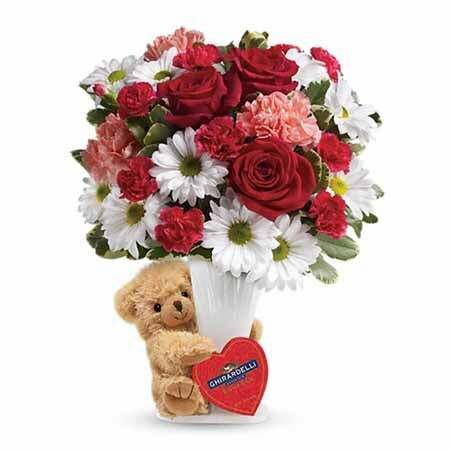 In our opinion, all cute Valentine gifts should come with free delivery and no hidden fees. That's why we created a special coupon just for you. Don't forget to enter delvfree at the checkout. With cheap Valentine delivery gifts online, it's faster and easier to treat someone this year. You can have the best Valentine gifts delivered today to show them you care, and you don't even have to leave your home. 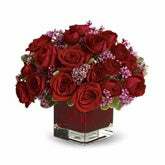 All of these Valentine delivery services are qualified and licensed sellers. Do try to order early for the most seamless experience. 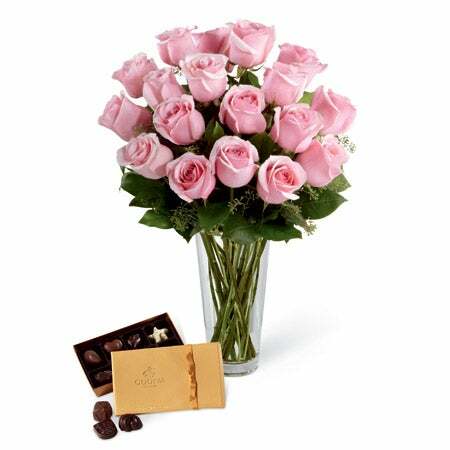 With valentine gifts near me, online in the palm of your hand, you can plan as early as is required. 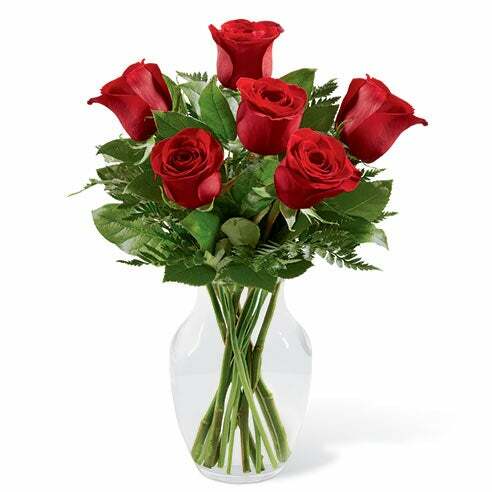 When trying to decide between long stem roses versus regular, we vote you always go with the long stem rose bouquets. 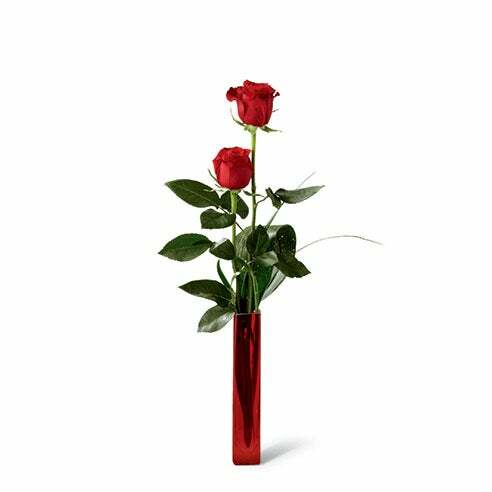 There's something about the height of long stemmed roses that's awe inspiring and breathtaking to behold. 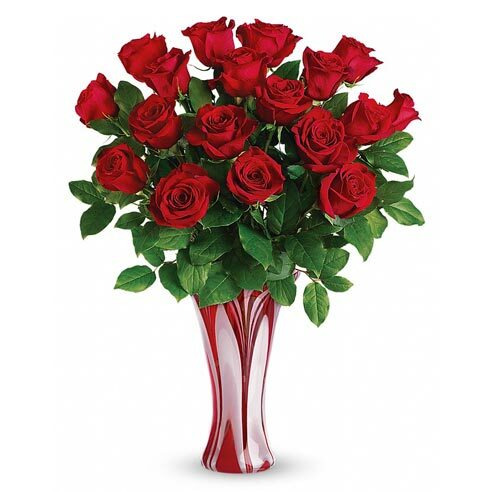 When thinking of cute Valentines Day gift ideas, flowers do typically come to mind first, red roses in particular. 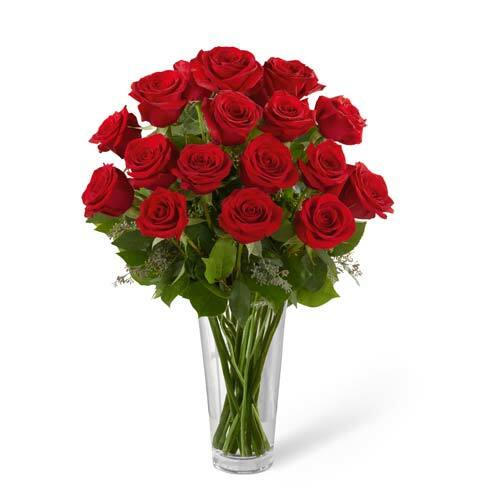 The only thing we like even better are the long stem roses in a box, though they're not available for same day delivery. If you like them too, just be sure to order at least a day ahead of time. 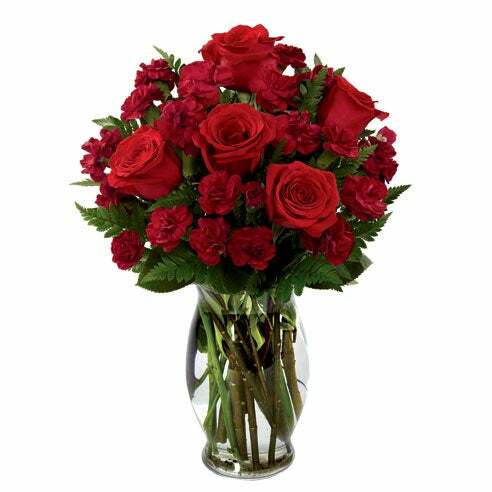 If your gift must be sent in 24 hours, pick from high quality cheap long stem roses which are hand delivered from our florists. They're a bit pricer, but they are available immediately. 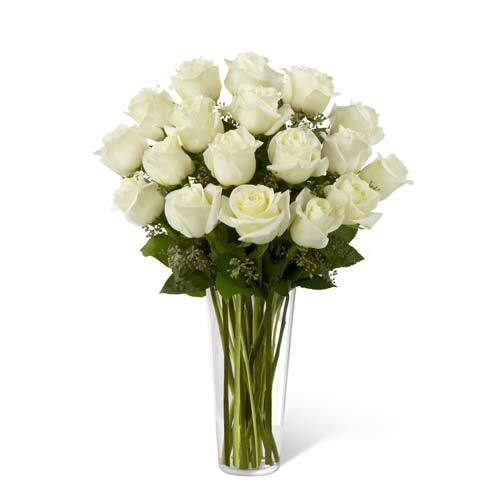 If red and pink roses are sold out, you should consider a long stem white roses delivery. 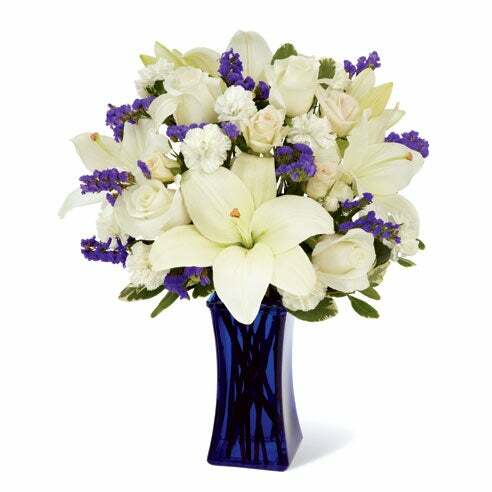 Men and women both love white roses and we get several requests for this particular flower delivery service every year. 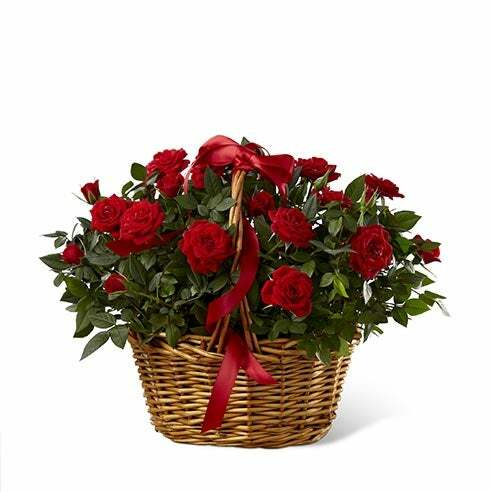 Consider unique roses for your next gift delivery same day needs, and maybe surprise them with something more unexpected. 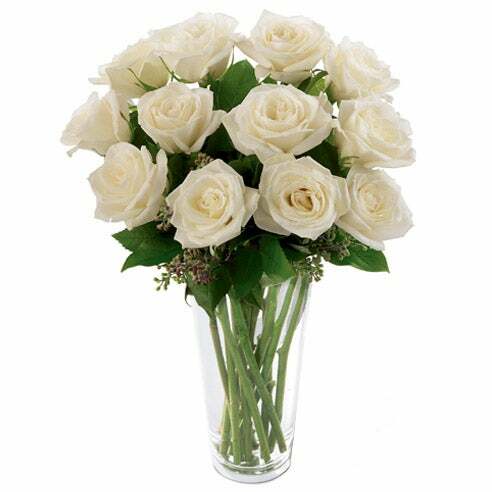 For immediate or last minute Valentine's gifts for him same day delivery, consider send white roses too. 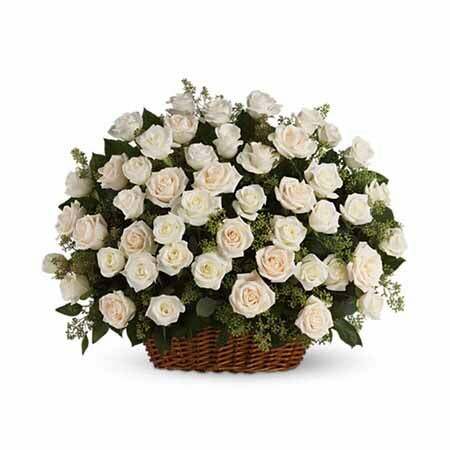 Men order white roses as frequently as women do, and they also send them to other men. 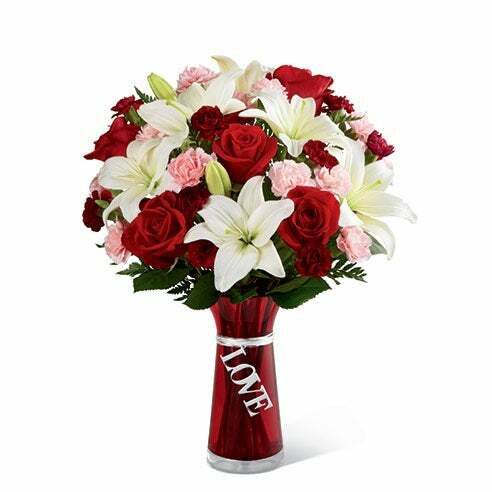 All bouquets listed here are available for Valentines Day same day delivery. 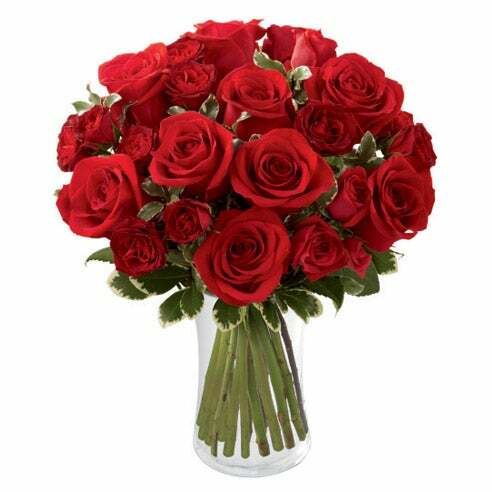 See all Valentine's Day long stem roses. 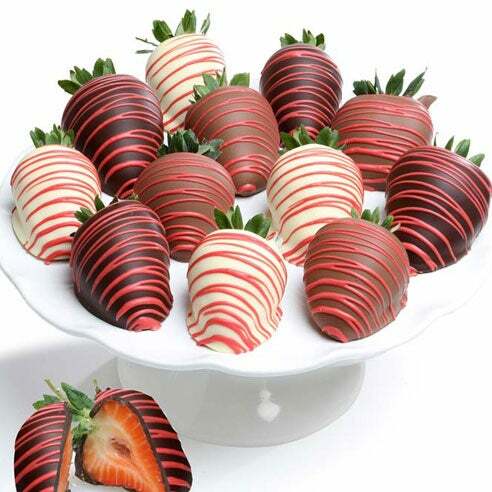 What is the best chocolate for Valentine's Day and where can I get Valentine's Day chocolate same day delivery? The best chocolate delivery is the one that's from you of course, to answer that question. 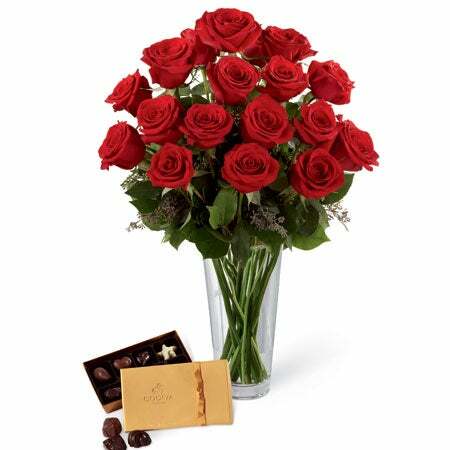 Valentine's Day flowers and chocolate delivery same day, aren't a problem anywhere in the US when you order early enough. As always, immediate options are there, but try to plan ahead when possible. 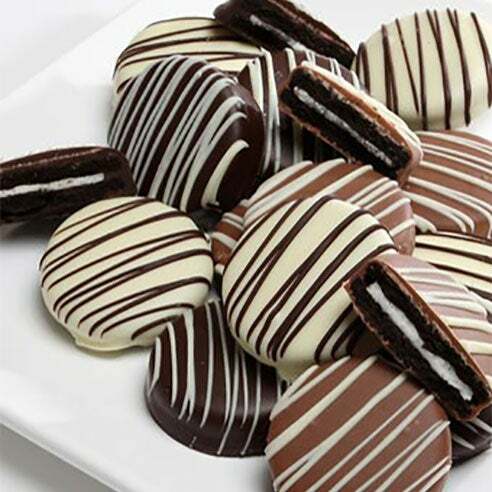 Whether it's chocolate dipped strawberries, a valentine chocolate box with a teddy bear, or chocolate dipped oreos, anyone with a sweet tooth will enjoy these same day delivery chocolates. 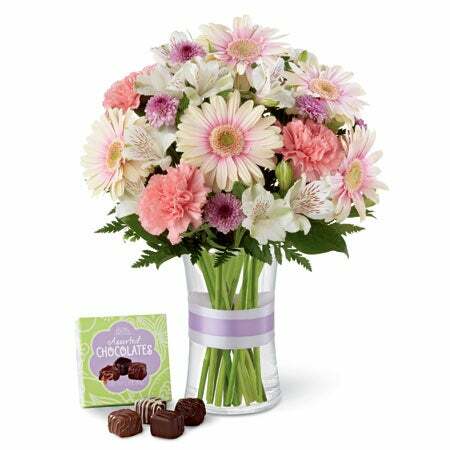 Mix and match your flowers and candy bouquets however you want. 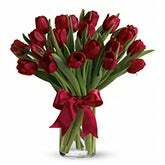 Almost every Valentine's Day flower delivery can be paired with chocolate candies, plush teddy bears, and I Love You balloons. 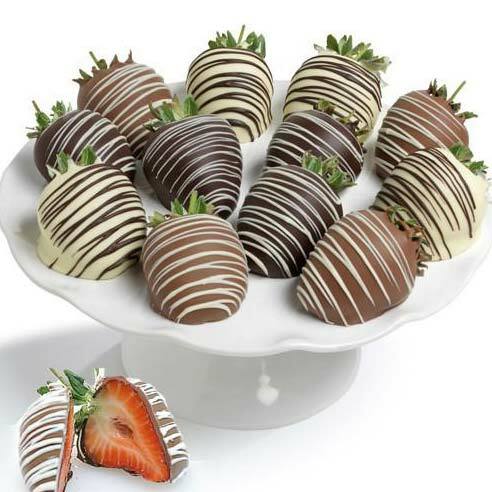 Just thinking about a Valentine's Day chocolate delivery makes our mouths water. Whether you send Valentine's Day chocolates delivery by itself or with bears or flowers, they'll enjoy every bite. 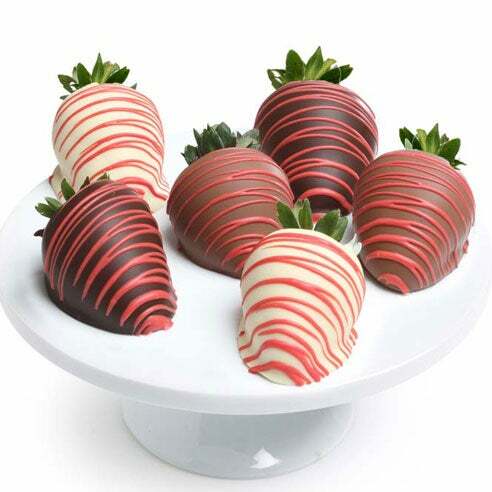 If you plan to order valentines gifts online like the strawberries and brownies below, please note those items are next day deliverable. 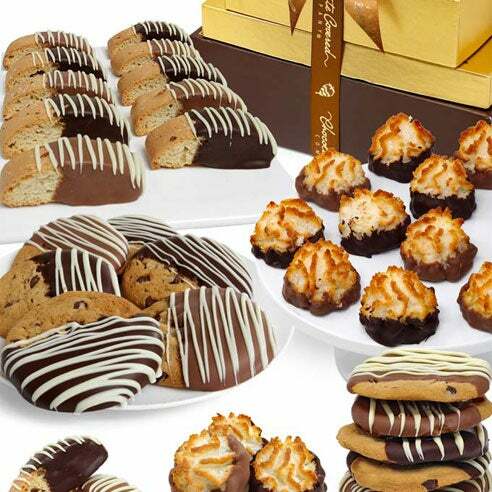 See all Valentine's Day Chocolates Delivery. 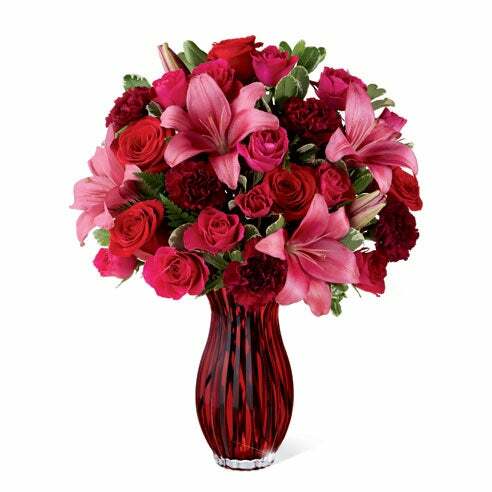 These beautiful flower arrangements for Valentines Day feature not only valentines roses arrangement, but also lilies, mini carnations, greens, and tulips. 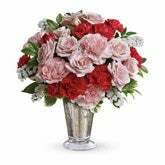 These are some of our best valentine flowers and cute valentines gifts. 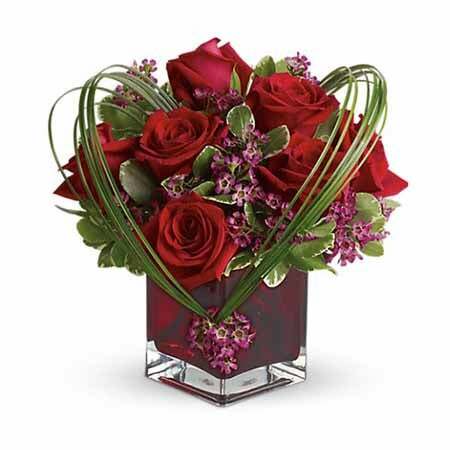 No one said your flower arrangements for Valentine's Day had to feature only roses, there are many cute valentine flowers! 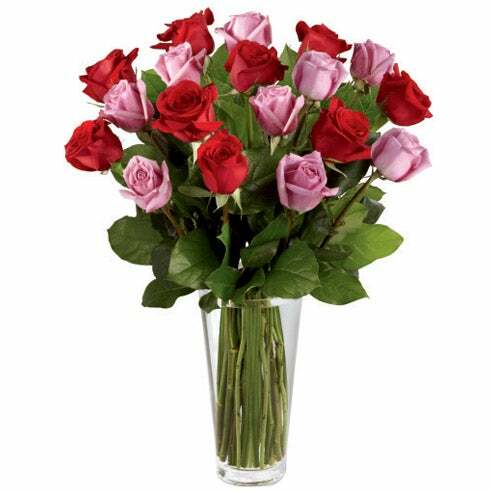 Though a rose gift delivery is the most prominently order Valentine's Day flower delivery, it's not the only option. 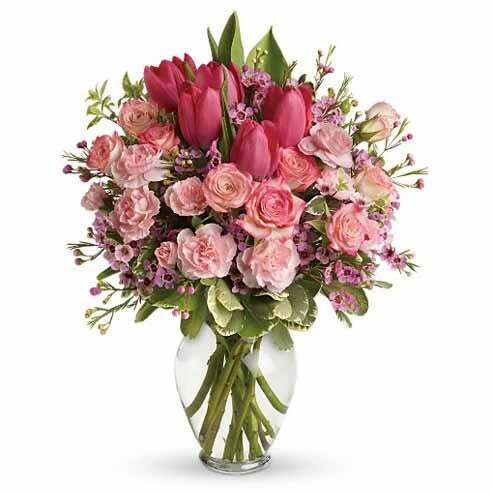 Whether you want Valentine's Day roses, or pink tulips, or even a rose bush delivery in a basket, you can find them all here at Send Flowers. 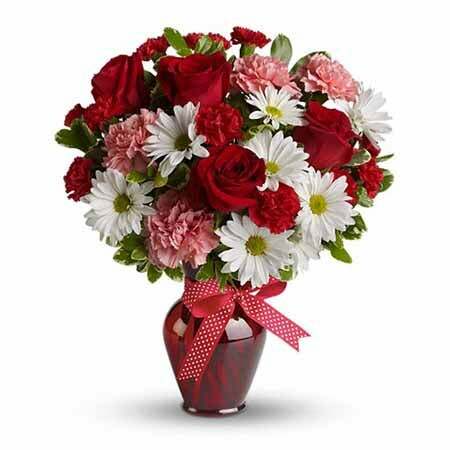 See all Valentine's Day Flower Bouquets. 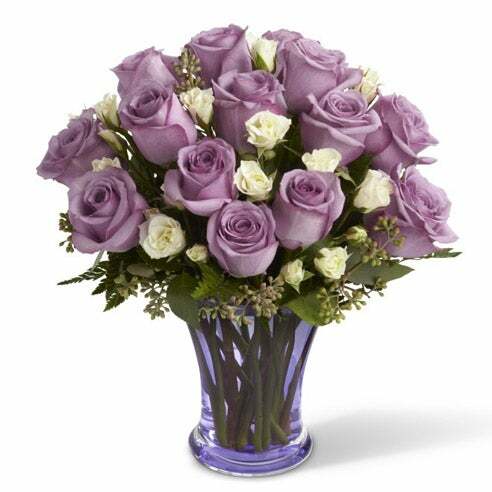 Sending flowers as floral centerpieces for dining tables is an excellent cute Valentine's Day gift delivery. 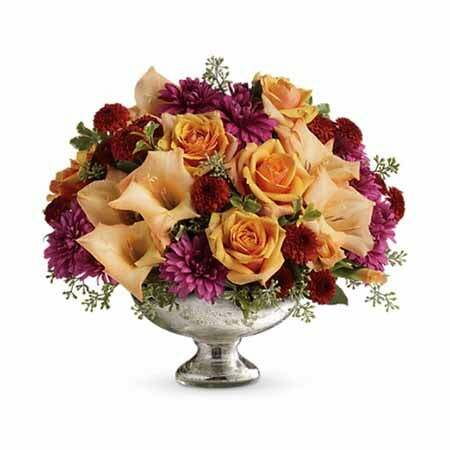 These floral centerpieces give your family and loved ones a beautiful arrangement to gather around at dinner time to celebrate the love of the family. 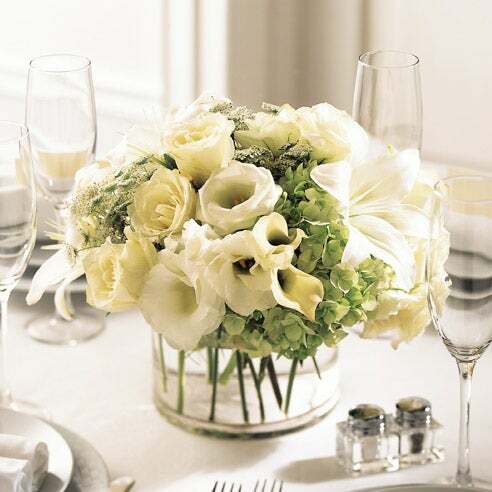 Table centerpiece flowers come in all shapes and sizes and are typically larger than most flower bouquets. 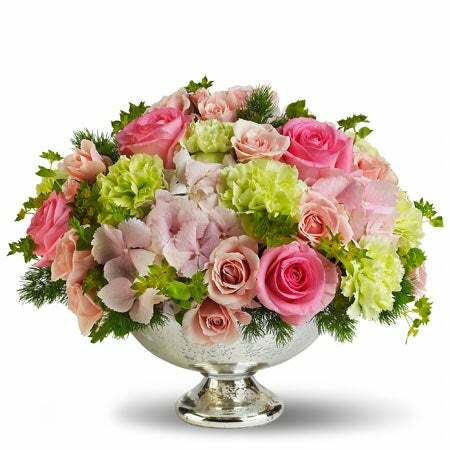 For an ultra elegant floral centerpiece, opt for the lifted bowl arrangements which have a Grecian style and make gorgeous floral centerpieces for any Valentine's Day dinner. 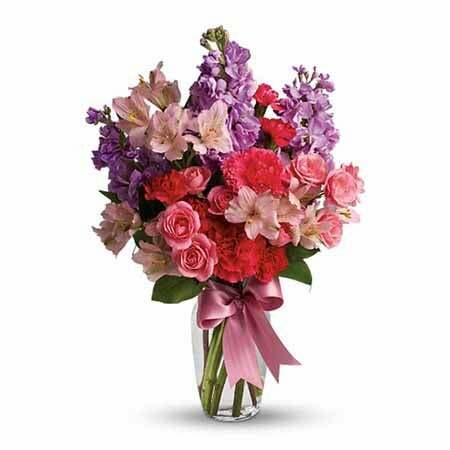 For the best floral centerpieces on a budget, don't forget that ours come with free shipping and no fees with code DELVFREE. See all Valentine's Day Floral Centerpieces. 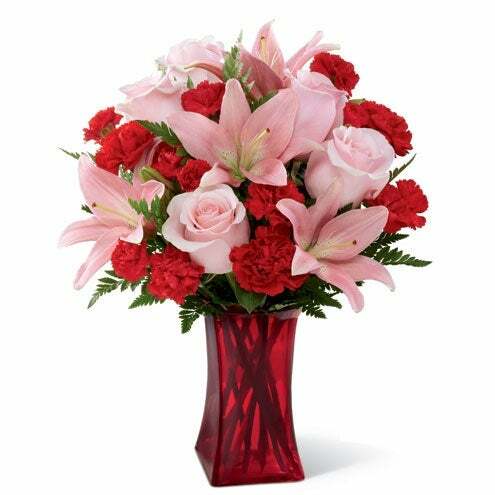 While we think both men and women would enjoy these selections, women order these arrangements every February. From chocolate to bear and other fun Valentine's Day delivery gifts, these selections are favorited by women of varying ages. An added benefit of each Valentines gift delivery shown here is their same-day availability(giant teddy bear is the one exception). 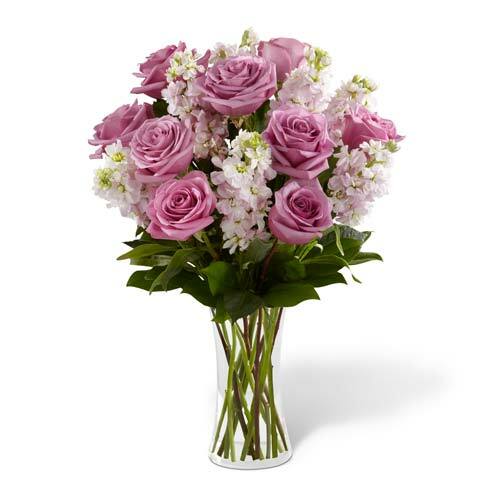 Should you need cheap Valentines day gifts, we recommend the pink roses and I love you balloon bouquet. 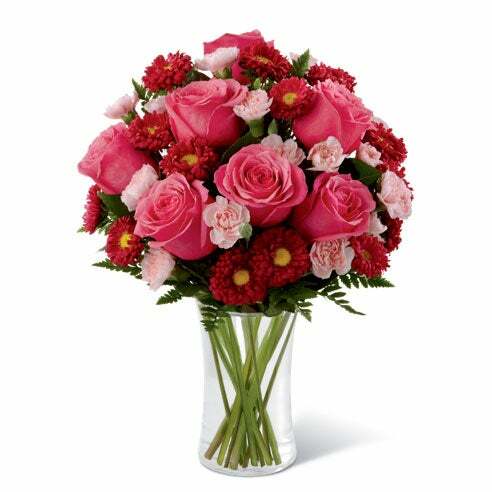 It's not expensive, but the bouquet is a nicely sized arrangement and the balloon makes it look more grandiose. It's easy to feel overwhelmed when looking at a large number of selections. If you've taken in the options available and you still aren't sure what to buy her, any of these products are good choices. We labeled these as our favorite Valentines delivery gifts for her because we know from our collected data, that women order them. Not only is each a cute Valentines Day selection, but they're each hand-delivered and come with a message card. When you find yourself truly struggling to pick something, these online Valentine gifts can be your goto. 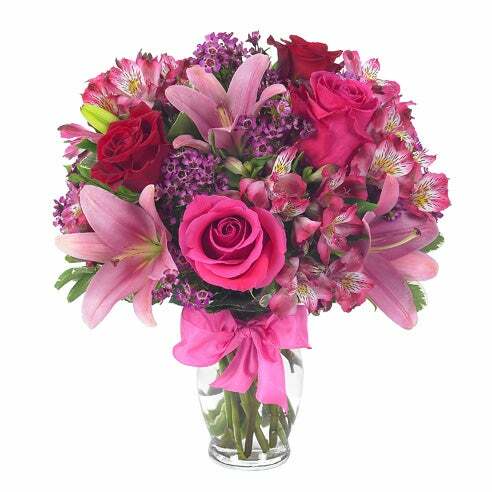 For same day Valentines gift delivery, order in the drop off zip code before 3 PM. These Valentine's Day deliveries for her come hand delivered with a card. 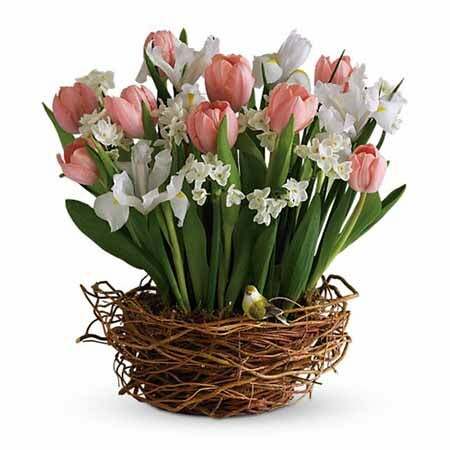 See all Send Flowers' coupon codes: discounts page!